Capacity of 1500 lbs. to a height of 8'. Comes with engine chain sling. 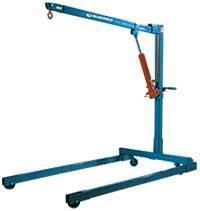 * Please call us for any questions on our engine hoist ram 6 pce rentals in Calgary, Alberta.